A purifying massage oil to enhance the body’s natural detox process. With Sweet Almond Oil, Vitamin E and pure essential oils of Patchouli, Sweet Orange and Juniperberry. Our Detox Massage Oil is blended with Sweet Almond Oil and pure essential oils of Patchouli, Juniperberry and Sweet Orange to help boost the body’s natural detox process. 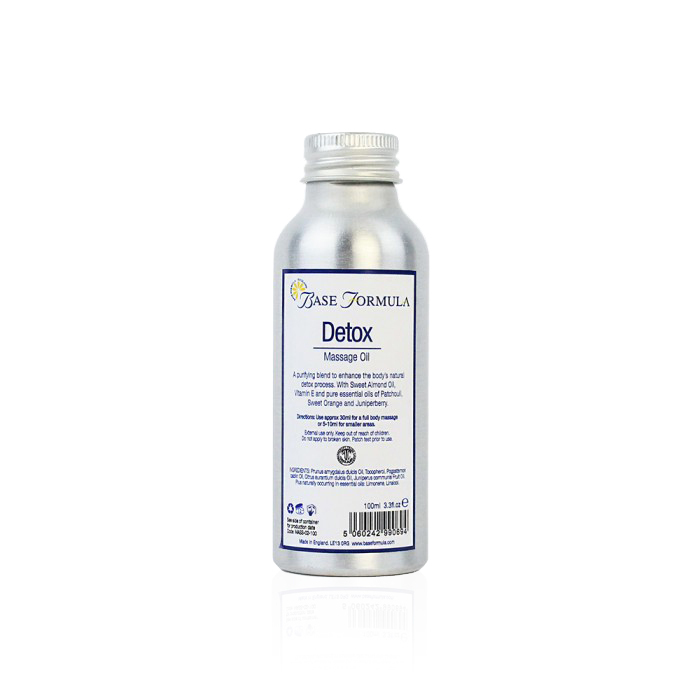 Its stimulating, cleansing action supports the lymphatic system, liver and kidneys and helps the body to eliminate toxins. Our Detox Massage Oil can also be useful in treating water retention and cellulite. Patchouli is a relaxing and uplifting essential oil that can be helpful in treating stress, anxiety and depression. It is an excellent diuretic – which means it increases the production of urine to flush toxins out through the kidneys. 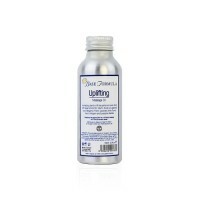 It also helps to reduce fluid retention and the appearance of cellulite. Juniperberry is a purifying essential oil with a powerful cleansing and tonic action. It is used in lymphatic drainage massage and in helping the body to eliminate toxins. It can also help to alleviate nervous tension, anxiety and fatigue and is often used in meditation when the mind needs a spring-clean! Sweet Orange essential oil has a diuretic action that helps relieve water retention and aids the detox process. It is soothing and refreshing and can help to relieve anxiety, stress and insomnia. It is also beneficial for the digestive system.